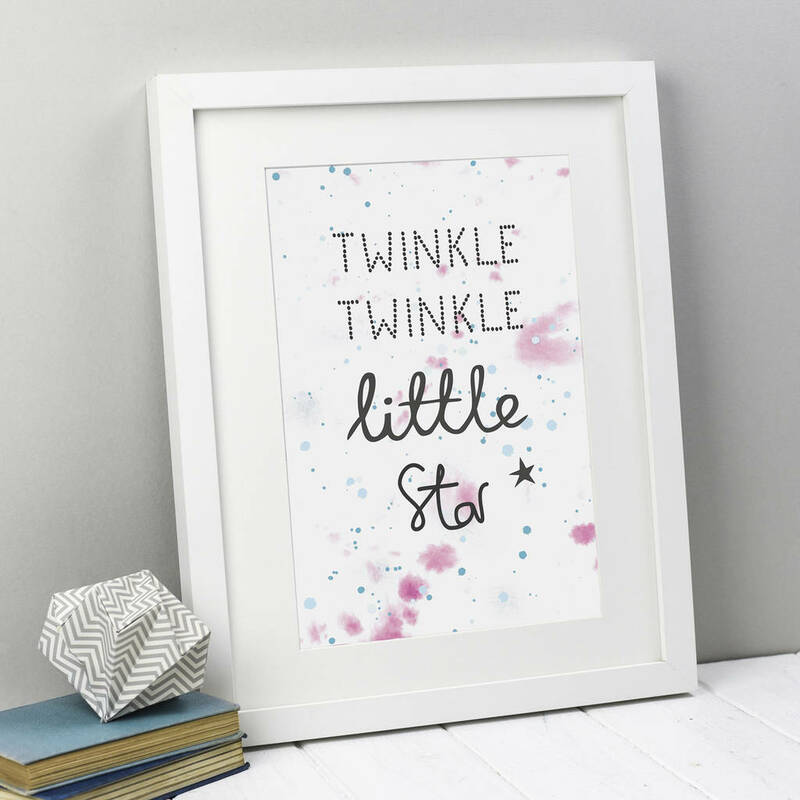 This gorgeous print is an ideal new baby or christening gift. 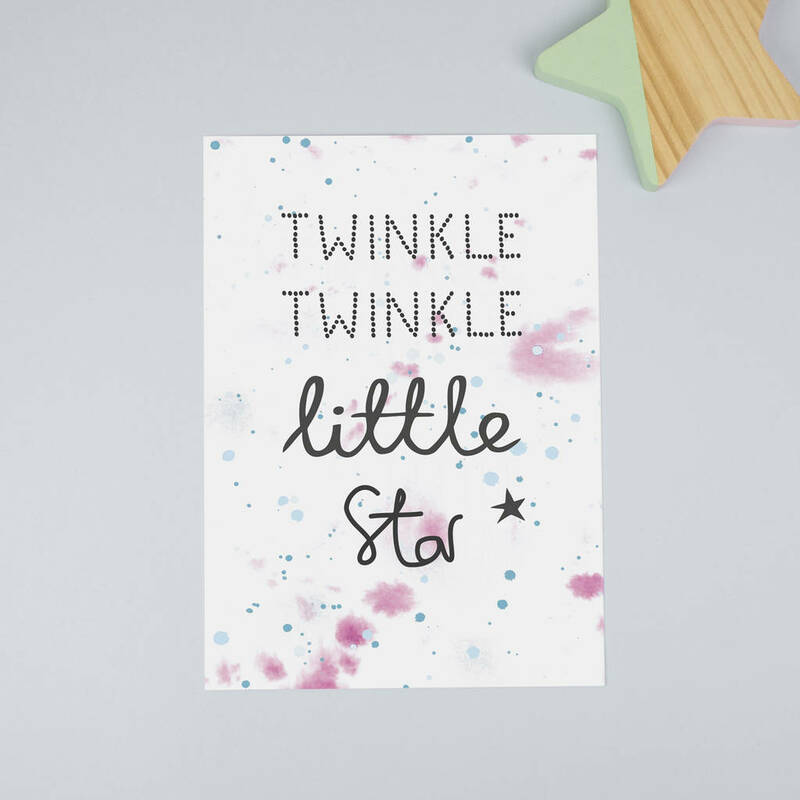 The background pattern is created with watercolours and the hand lettered print reads "Twinkle Twinkle Little Star." This contemporary print would look fantastic in any baby's nursery, childrens bedroom or play room and would be a lovely gift for a friends baby or a new niece or nephew. Printed onto lovely 300gsm fine art paper and designed to fit standard, off the shelf frames. Please note this print is sold unframed and colours may differ slightly due to your monitor. Printed on beautiful 300gsm FSC certified paper. This luxurious paper is made in the Lake District and is lovely quality. This product is dispatched to you by Lizzie Chancellor.